Buzz Beyers ~ Pedal Steel Guitar, Bass and M.C. 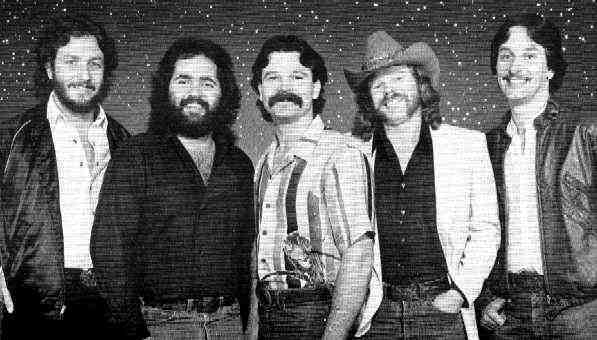 The Lonestar Cattle Company was formed around 1975 in Penticton, BC, and originally was a folk-bluegrass group. We crossed paths several times when I had Kickin' Horse. 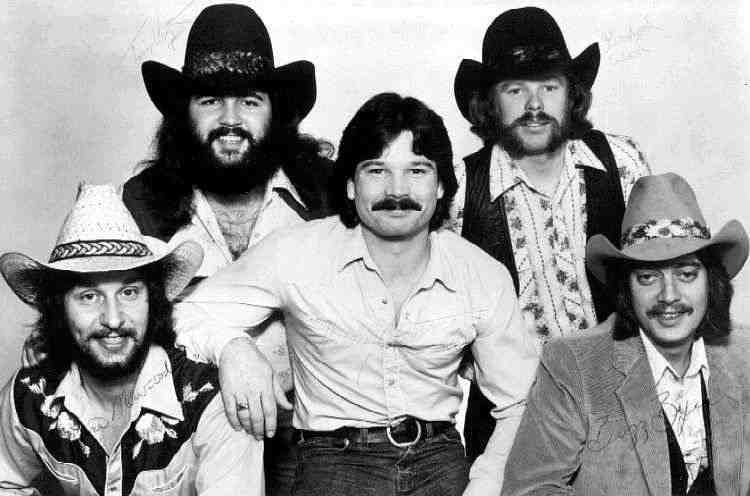 By this time they had become more mainstream country-rock (gone was the 5 banjo front line). After my partnership with Tim Newcomb came to an end, Tim joined up with LSCC. He had also moved to Red Deer, and I lost touch for a short while. He called me when they came to town to play a show with Jerry Jeff Walker at the Commodore Ballroom, and invited me to catch the show. One thing led to another, and I ended up as the group's sound man. The group had it's own indie label (Twilight Records) and release a couple of well received singles in the early-mid 1980s. The group gigged in the four western provinces, with the strongest support in Alberta (our single Lea was #42 for the year 1982 in Edmonton). We recorded at Brothers Studios in the Okanagen run by the Thievin Brothers, in Kaleden, just outside of Penticton, with the recordings done with Claire Lawrence as the producer, and Jimmy Thievin as the Engineer. 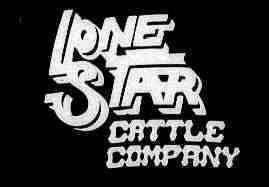 I had the good fortune of playing bass for Lonestar Cattle Company for a short time in the Okanagan. I became very good friends with both Buzz Byers and Gaylord Woods. Gaylord played fiddle on two of our McQueen albums. I recently left McQueen, but I will never forget my GREAT times with Gaylord and the rest of the gang. By the way, I played a gig last summer in the Okanagan for a reunion of "Prime Time". Sheldon Scott (Lonestar's drummer) was the drummer. We had a great time reminiscing about the old days. I will certainly miss Gaylord! As a matter of interest, Tim Newcomb is in Red Deer Alberta and Lynd (Smokey) Fennell is in Edmonton. T im Vogt is in Calgary, and Wendy is in Edmonton as well. Sheldon is living in Penticton still, as well as Buzz Byers.